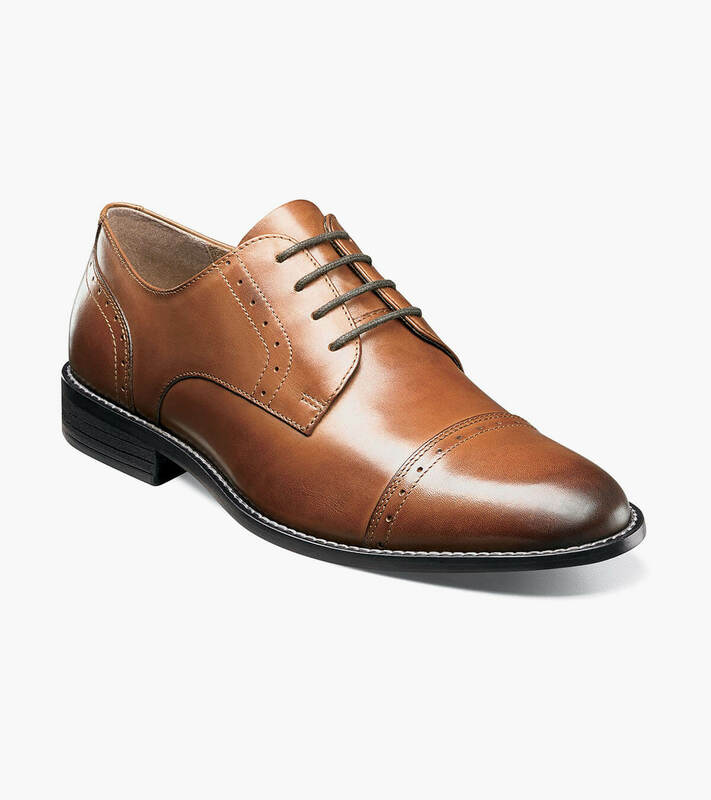 The smooth, clean lines of the Nunn Bush Sparta Cap Toe Oxford are enriched by a simple line of perfing along the toe, laces, and heel. The beautiful exterior is complemented by the latest in comfort technology like a shock absorbing heel and an energy rebounding Comfort Gel heel pad. For style and comfort, the Sparta is unbeatable.